In many ways, clergy play the role of “meaning-makers” for their congregations. Their vocational role is to interpret this sometimes senseless world so that it has some kind of purpose. After all, we are not, to summarize Jerome Bruner, simply “information-processors,” because information alone is not enough. What we see, hear, feel, and experience has to be arranged and interpreted in such a way that life doesn’t devolve into meaninglessness or hopelessness. Faith, thus, is not an emotional crutch – as some critics would argue – it functions as a meaning-making exercise. 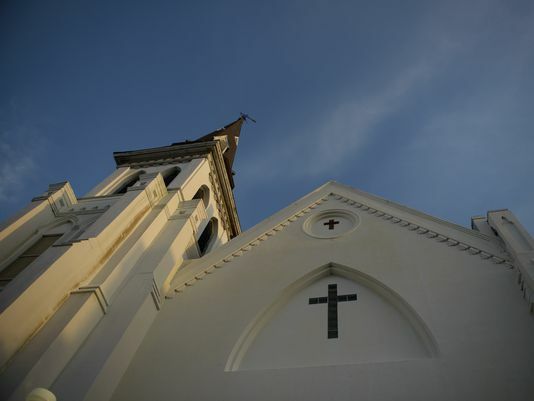 Yet, all explanations fail when forced to interpret the horror of what happened at Emanuel AME Church just days ago. We the meaning-makers, we who are charged with producing tidy, digestible solutions to all of life’s problems, well, we just can’t do it . The tragedy simply doesn’t compute. In an iconic photo taken outside of Emanuel last week, a group of church members were mourning, and one of them was holding a giant sign with one word on it: “Why?” That’s the word that says and asks it all. We might be tempted to direct that question toward those who continue to rebuff common sense measures related to America’s “gun culture:” Why won’t you lead this country toward greater responsibility? We could ask it of the hateful racists who terrorize people of color a full century and a half after their Emancipation: Why do you perpetuate thuggish bigotry toward people simply because of their God-given epidermis? We could put it to South Carolina: Why do you continue to fly a battle flag that represents an army that warred to enslave a whole race of people? We should direct the question to ourselves, our neighbors, friends, and families: Why will we not change this society that is violent to its deepest innards; violence that seems to be glorified on every screen, in every movie, game, sport, and “heroic” tale we tell? Faith in God is not an insulator from tragedy or injustice. Following Christ or holding to faith does not guarantee a trouble-free life. Nor will having “more faith” lead to less difficulty in this unfair world or meaningful explanation for every sorrow. Faith is minimum protection from suffering, but thank God, it is maximum support. Wisdom from Ronnie… Faith in God is not an insulator from tragedy or injustice. Following Christ or holding to faith does not guarantee a trouble-free life. Nor will having “more faith” lead to less difficulty in this unfair world or meaningful explanation for every sorrow. Faith is minimum protection from suffering, but thank God, it is maximum support. Thanks, Ronnie. Well said, and put in simple words that are easy to pass along to a friend.